You are required to have a valid license to drive within the state of New York if you are operating a vehicle on the state’s roads. Unfortunately, your license to drive within the state can be suspended for many different reasons ranging from driving without insurance to failing to pay your child support to getting too many points on your license to drive. If your license is suspended, not being able to drive is difficult, so some motorists will make the choice to drive anyway. The problem is, getting caught driving with a suspended license is a very serious offense that can come with harsh penalties. If you have been caught operating a vehicle without a valid license to drive, you need to be aware of the severe penalties that you could face and you need to be proactive about getting yourself the right legal help. You should reach out as soon as possible to talk with a New York traffic defense lawyer to find out about your options. NY Traffic Firm is here to help. We have successfully represented many defendants who have been accused of driving with a suspended license and we can put our legal knowledge and experience with these cases to work for you. Just give us a call to find out more about the ways in which we can help you to develop a legal defense strategy to fight for your right to drive. If you drive while your license is suspended in New York, you could face serious penalties. The Department of Motor Vehicles explains consequences of driving while suspended. 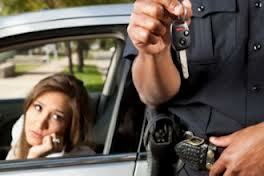 Driving while your license has been either suspended or revoked is not just a traffic offense. It is a crime called aggravated unlicensed operation (AUO). If you drive with a suspended license or a revoked license and are caught for the first time, you will be charged with AUO-3rd degree. This is a misdemeanor offense and it carries a penalty of up to 30 days imprisonment or probation. You also face a mandatory fine of between $200 and $500 and a mandatory surcharge. If you are caught a second time driving while suspended after you were already convicted of AUO-3rd degree in the prior 18 months, you will also face misdemeanor charges. This time, you will be charged with AUO-2nd degree. The penalty for this offense is a minimum fine of $500, as well as a mandatory surcharge. There is also a mandatory term of imprisonment up to 180 days or a term of probation. If you are caught driving with a suspended license and there were certain aggravating factors, such as the fact your initial suspension resulted from a refusal to submit to a chemical test, an alcohol-violation or a drug-related violation, then you will face a mandatory fine of between $500 and $1,000 as well as a mandatory surcharge. There is also a mandatory term of imprisonment imposed under these circumstances, which will last between 7 and 180 days or a mandatory period of probation. Finally, you could be charged with AUO-1st degree, which is a felony offense carrying mandatory imprisonment for up to four years and the potential for seizure and forfeiture of your vehicle. You could be convicted of this offense if you are caught driving while your license is suspended for a drug-related offense or if you had 10 or more license suspensions on at least 10 past dates as a result of a failure to respond to tickets. The fines, loss of license and other penalties associated with getting caught driving with a suspended license can impact your life in profound ways. You owe it to yourself to have the best legal representation fighting for you. NY Traffic Firm is here and ready to help. Give us a call today to learn more about the ways in which we can help you to build a defense or negotiate a plea deal to reduce the charges against you.